UPM Autonomous Systems Laboratory - Design for a Brain is online! Design for a Brain is online! Good news for cognitive science public access. 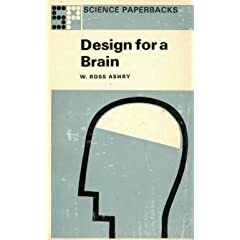 "Design for a Brain" W.R. Ashby's master piece is available online in Archive.Org. It is never too late to read or re-read this pioneering and still contemporary book. Ashby, W.R. (1952) Design for a brain. NY, Wiley.